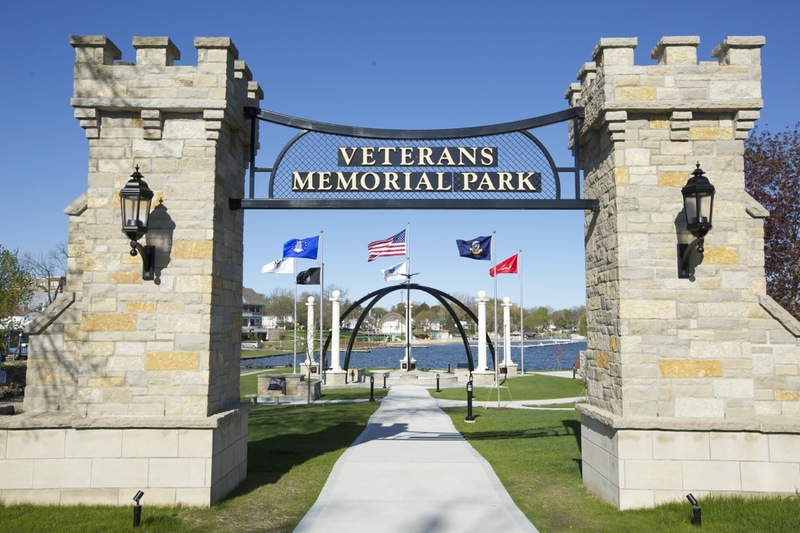 Oconomowoc Veterans Park is in downtown Oconomowoc on Lac La Belle. It is a tribute to all service members and includes impressive architectural components. Flags of each branch are represented, a memorial wall and memorial brick path and reflection benches are among the elements created in this park.